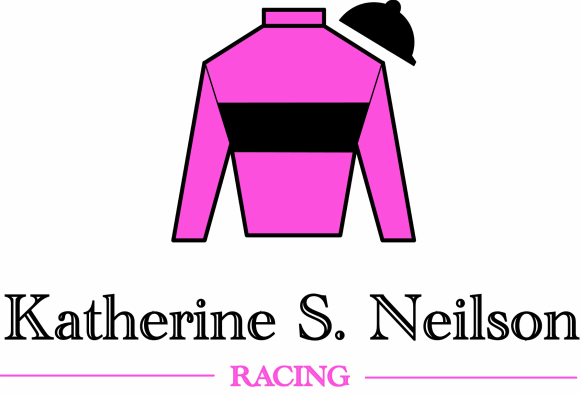 Specializing in both flat and steeplechase racehorses, Kathy has trained many horses to win six furlong dirt races at Penn National Racecourse, two mile hurdle stake races at Belmont, Churchill Downs, Middleburg, Virginia and Saratoga racecourses. She has won numerous timber stake races including the New Jersey Hunt Cup, the Geneseo Valley Hunt Cup and the Pennsylvania Hunt cup numerous time over. Kathy trained Young Dubliner to win the four-mile Maryland Hunt Cup and currently holds the course record since 2002 and that same year, Young Dubliner was Timber Horse of the Year. Kathy also trained Young Dubliner to win multiple timber races as a 15-year-old. She was Leading Maryland Steeplechase Trainer in 2010, second Leading National Steeplechase Association Trainer in 2003 and Top Ten National Steeplechase Trainer for the last 15 out of 20 years as a trainer. She currently has an early nomination for the 2016 Maryland Hunt Cup with Almarmooq, owned by Irvin S. Naylor. Kathy has ridden on the flat at Philadelphia Parx, Penn National, Delaware Park, Laurel Park, Atlantic City Race Course, Ohio, New Mexico, England, Poland, France, the Czech Republic and in Germany where she won the World Cup Amateur Race. She was awarded Amateur Flat National Steeplechase Association Champion in 1997. Kathy has ridden over hurdles and claimed victories over timber at Winterthur, Delaware, Kentucky, Virginia and Pennsylvania. She was the Delaware Valley Divisional Champion in 1995. A mother of three and avid fox hunter, she trained Fionna to be Delaware Valley Point to Point Medium Race Pony Champion 2014 and 2015. ​She has stalls available at both Fair Hill Training Center in Elkton, Maryland and at her own farm in bucolic Coatesville, Pennsylvania. And check out Delaware Online's feature article of Kathy as an industry fashion icon!